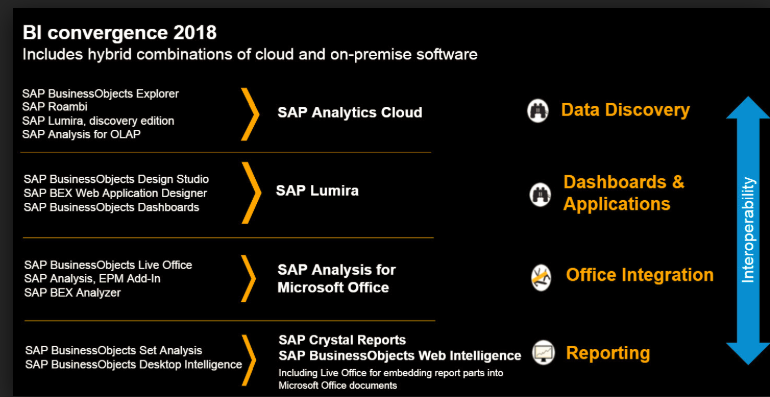 As you already know SAP analytics Cloud is offered as Software as a Service in analytics space for data discovery, Visualization, Planning and Predictive analysis forecast. This application is fully managed by SAP and only available on Cloud. Looks like, most of these features are getting embedded in SAP analytics for cloud, there may be less tools in the analytics portfolio in the near future, but I am not going to get into the details of Business intelligence features in this blog. 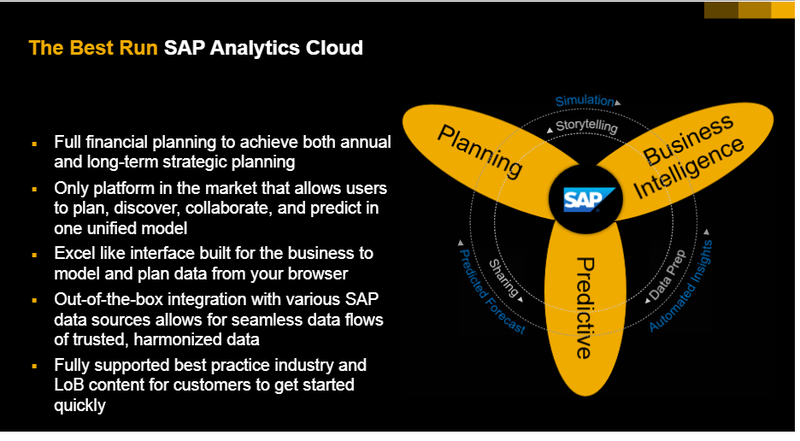 Here, I am going to talk about planning feature in Analytics cloud, SAP offers full financial planning, forecast update and allocation capabilities in SAC, in addition to that, it has Predictive forecast capabilities to make it as an end to end decision making tool. Therefore, if I would like to do P&L planning or Profit Center planning on S/4 HANA, I will be able to do in SAC application, in this case, BPC application is not necessarily required. So does it mean that, BPC is no longer required going forward? I would say, that is not correct. BPC tool is specially designed for Planning, forecasting and Consolidation purpose, it has got robust planning functions and consolidation rules for corporate reporting and decision making. In the new releases of BPC, the UI also improved and lot more functionalities are introduced like Real time planning and consolidation in S/4 HANA etc., There are much more to list, but I am not going into the details of what is in BPC in here. On the other side, SAP Analytics cloud is designed for Combining Business intelligence with Planning and predictive analytics. You can see from the above picture, SAC is bringing BI, Planning and Predictive analysis together in one place which is not available in any other tools. Let us see, above features in Analytics Cloud at very high level. Creating and updating long-term strategic plans, annual budgets, and monthly forecasts. Allocating costs from overhead expense accounts to specific departments, product lines, regions, and so on. Simulating scenarios by changing variables such as driver values or exchange rate trends. Of course, all this actions can be done BPC application, but in SAC it is very easy and user friendly. In Advance analytics, technologies like data minding, Machine learning and Artificial intelligence are used to predict the possibility of something happened based on the data set. There are built in algorithms provided by SAP to do the Predictive forecasting. Note: SAP analytics planning capabilities are built as brand new platform, there was no basis/reference taken from BPC or IP applications in doing so. Therefore, it is a reinvention product, going to get lot of new innovations in future. Conclusion: Which tool should I use for planning and forecasting? BPC or SAP Analytics cloud ? It mainly depends on the use case, if the customer architecture doesn’t allow them to be on Cloud application, due to governance policies etc., then having BPC tool makes the case. Customers who are choosing to have Cloud applications then, Analytics Cloud will be better fit, because it allows the real time planning on S/4 HANA On premise or Cloud. Also, it can connect to to other Cloud application for any data consolidations. Also second use case, looking for Predictive analysis on forecast, then SAC will be the better option , then these forecast models can be made available as analytical models in SAC with digital board room story to share in the enterprise. So, therefore, It makes more sense to conclude that, if my requirement is to combine BI analytics + Planning + Predictive analytics then definitely Analytics cloud is the only platform offered in the market. for more information on SAP Analytics for Cloud learning, Visit here. Yes, latest updates from TechEd 2018, indicate that further innovations and improvements in planning will be provided in SAP Analytics for Cloud, keeping BPC as it for only On premise planning application.